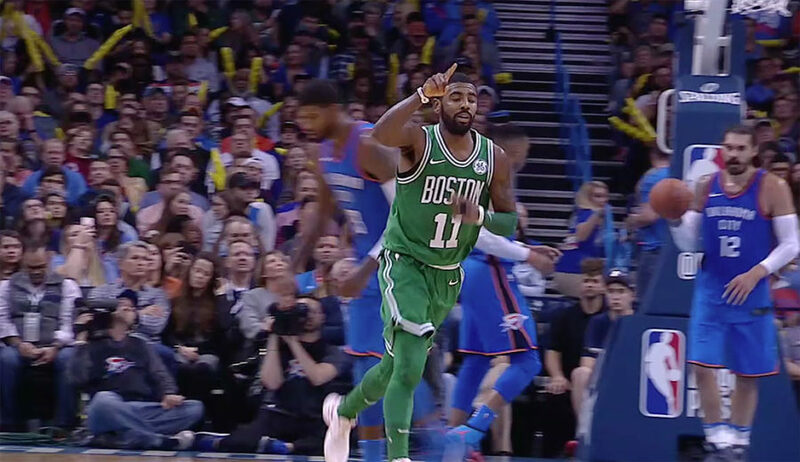 Irving, who shot 6 of 17 from the floor and made all six of his free throws, also dished out seven assists and had five rebounds in the win. “I just try to be aggressive on the ball, be in the right spots,” Irving said after the game. Marcus Morris added 20 points with seven rebounds, while Jayson Tatum scored 15 points for the Celtics (1-0). Al Harford ended with a triple-double of 10 points, 11 rebounds and 11 assists and Gordon Hayward finished with 10 points and seven boards for Boston. Cory Joseph scored 14 points for the Pacers (0-1) in the defeat, while Bojan Bogdanovic added 12 points for Indiana. Boston won the game despite shooting just 36.7 percent and committing 20 turnovers. Indiana was even lower, shooting only 33.3 percent from the field and were just 6 for 27 from 3. The Pacers set a new franchise record for lowest points in a quarter thanks after being outscored 26-8 in the third quarter. Boston trailed the Pacers 45-38 at halftime, but recovered to hold Indiana to just 29 points in the second half. The went up by 11 points in the first half, but the Celtics went on the front foot after the interval after using a 22-3 run in the third quarter to take a 60-48 lead and ended the quarter ahead 64-53. Game 2 in the series is on Wednesday in Boston and again.